You and a pal are sitting on the couch one stormy day. The wind wasn’t strong enough to tear the fence down. So, standing out in the rain, picket by picket you and your friend kicked your fence down. All is going according to your plan, and you can’t help but smile. The following day, after the claims adjuster looks at your property, the adjuster offers you $1,500 to fix your fence. You sneer, trying to hide your mischievous smile. A deductible is a certain amount of money that you, as the insured, must “pay” the insurance company before they will pay out your claim. The money does not come out of pocket, the money comes out of the total pay out that you will receive from the insurance company. The reason they do this is to keep their customers honest and to prevent insurance fraud, which is exactly what’s happening in this scenario here. 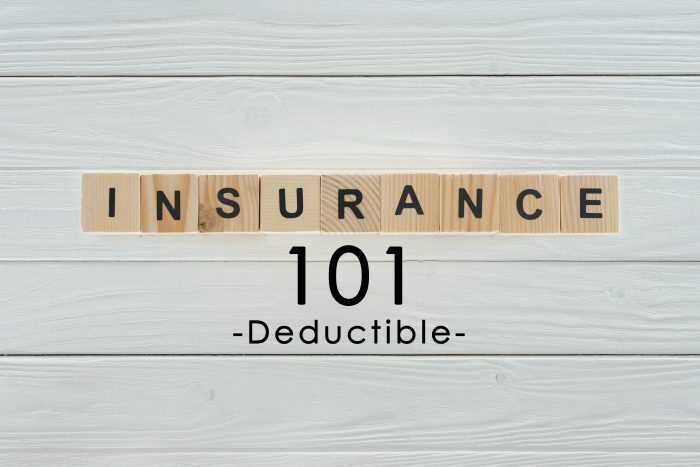 Deductibles can start at $100 and can range to $5,000 or more. A higher deductible makes for a cheaper premium. Depending on what kind of policies, some deductibles are a percentage of your coverage. Talk to an agent about the appropriate deductible for your coverages. This story does not have a happy ending. The person behind the insurance fraud was unaware of his deductible amount, which resulted in the pay out being just enough to replace a small section of the exact same fence he already had. And, furthermore, there wasn’t any additional money like the person had been hoping for. Joke’s on this wise guy.